I have 6 very special women who are part of my bridal party for our upcoming wedding. They include both family and friends and are all women who have a special place in my heart. Once I asked them to be my bridesmaids, I began thinking about ways I could show them how special they were to me and how thankful I am to have them part of our very special day. Then I thought about one of my favorite movies, Bridesmaids. It was perfect! I was gonna put together a “Bridesmaids” Gift Basket for each of them! Putting together the “Bridesmaids” Gift Basket was fun and super easy! Let’s not forget that it included items that each bridesmaid would love and enjoy. I was able to find the items on Amazon and at our local Dollar Store. Here are a few simple steps on How to Make a Bridesmaids Gift Basket. 1 – Start with a basket. I bought the baskets from the Dollar Store and had a variety to choose from. I wanted one that was simple, but pretty. 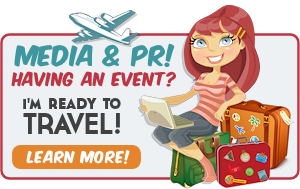 2 – Include “Bridesmaids” the movie. I love this movie and knew my bridal party would enjoy it as well! Each of the items in the gift basket goes along with the theme of the movie. 3 – Include a “bouquet” of flowers. While I would have loved for these to be real flowers, I had to go with silk ones. I purchased them from the Dollar Store and Frank actually helped me find them. 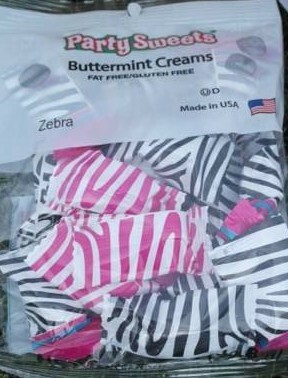 They were pretty and pink and would fit perfectly in the gift basket! 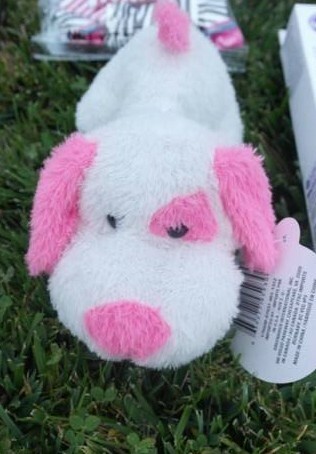 4 – Include a “puppy.” While this wasn’t a real puppy (and was actually pink and white – matching the feminine look of the basket), it was a cute favor. I also bought this from the Dollar Store. Remember in the movie when the guests from the Bridal Shower received puppies as party favors and Megan took a bunch, but Annie wasn’t allowed to take any? That’s where the dog fits in with the theme. 5 – Include a Wilson Phillips CD. I love this band and my absolute favorite song from them was actually the one in the end of the movie where the band actually performed it at the wedding – “Hold On.” All of my bridesmaids were excited when they saw this cd in their gift basket. I loved that moment! 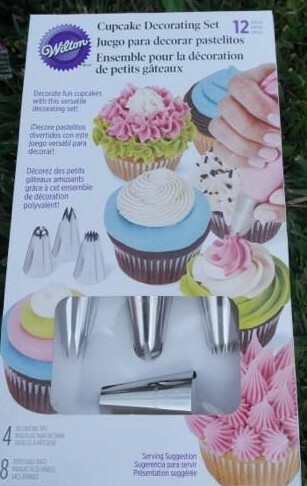 6 – Include Cupcake Decorating Goodies. In the movie, Annie was the owner of a bakery called Baby Cakes and there is a scene that I love where she bakes and decorates one single cupcake. 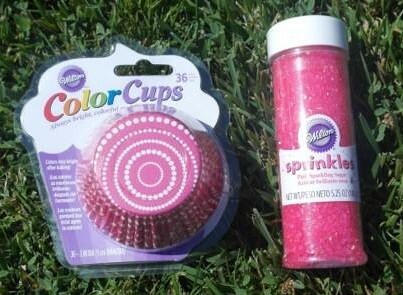 I thought it would be fun to include some Wilton cupcake goodies, such as a Cupcake Decorating Set, Pink Sprinkles and Pink Baking Cups. Everyone couldn’t wait to start baking and decorating their cupcakes! 7 – Include candies. Who doesn’t love candies, right? I included some fun mints that matched the color theme. They had nothing to do with the movie, but added to the look of the gift basket. Did you do anything for your bridesmaids before the wedding? 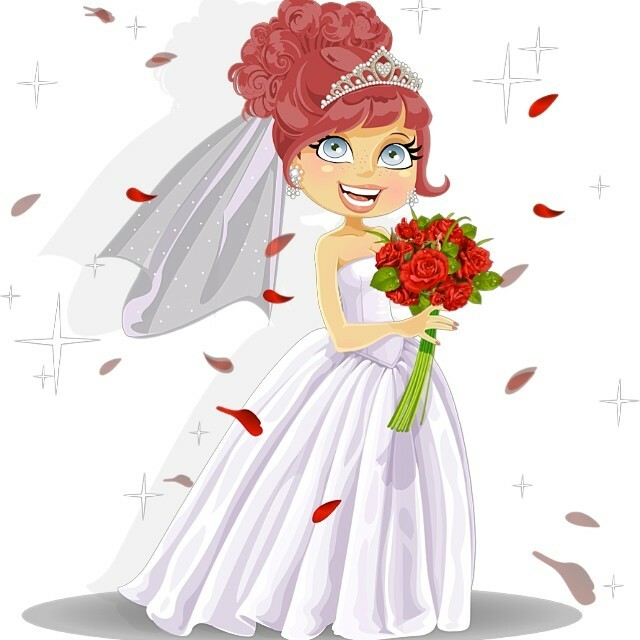 Were you in a wedding where the bride did something special for you? 5 months, 1 week, 2 days until we get married!!! It was a lot of fun putting together. What a fun and cute gift idea! Love me my movie and CD. Thanks, chicka – you’re the best! I’m so glad you like it Caroline! This is a very nice bridesmaid gift basket. If I was a bridesmaid, I know that I would love to get this as a gift. You did good in putting in fun items! You did a great job with these! I just love them and I can hear your excitement coming through with every word. Thanks so much Robin! I know I would have loved to receive one of these if I were a bridesmaid. That’s such a cute and creative idea for all your bridemaids! I can see how it really shows them you care 🙂 I had to giggle at the puppy included in your baskets, too! Thanks Kayla! I had a lot of fun making them. That movie was hilarious! What a great idea for Bridemaids. I’ll be honest, though, I usually expect jewelry as a gift when I am in a wedding. Hi Robin. This isn’t the gift I’m giving to them on the day of the wedding. This is just a fun gift I gave to them while we’re counting down to the wedding. These are so cute, I love basket themed gifts. You have to sing Hold On when it’s playing! What a fun bridesmaid basket! I love that you put in this extra thought! This is a really great idea. My girlfriend would love this. Thanks Ben! It’s fun to give and receive! I LOVE this! 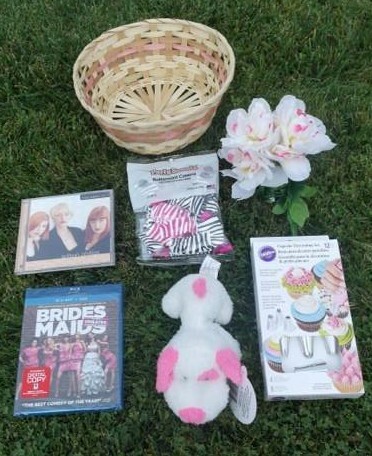 Bridesmaids is an awesome movie, and I love this basket. The Wilson Phillips album is a nice touch. I love the movie, Bridesmaids, too Dawn! Wilson Phillips is awesome! Wonder if they would perform at our wedding? Ha ha! I wish! Such a cute idea! 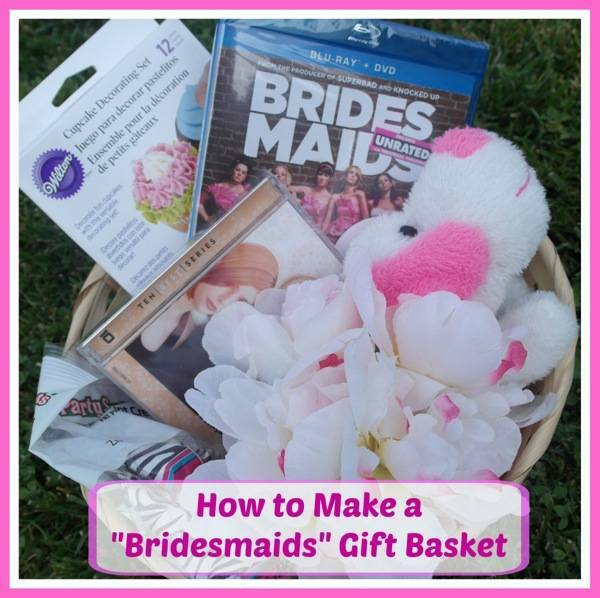 We loved the Bridesmaids movie so that would be the perfect gift basket. April – I love the movie! Plus, you could give this gift basket for things other than weddings. I’ve only been in a few weddings and both times I received gifts on the wedding day. 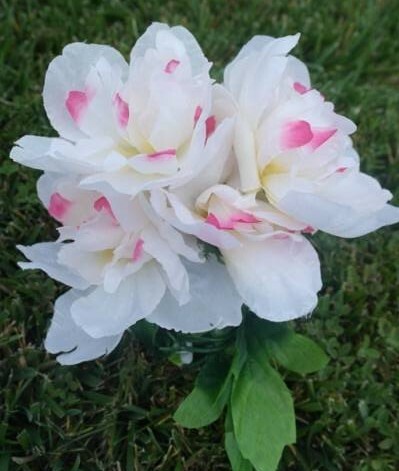 I gave these to my bridesmaids before the wedding (5 months away) and they loved them. Very cute idea – I love making baskets for all occasions – plus I always love getting a gift that was made or designed by the giver. Super fun basket idea! I think any bridesmaid would be excited to receive one! I like the “I will what I want” theme. These are some awesome ideas. Bridesmaids is a classic! What a fun thing to make! You’re wedding is creeping up so fast! I know you’re super excited for the big day. What a great idea. I have a couple girlfriends getting married so I will share this with them. I love the idea of baskets. I like personalizing my gifts with a special touch! What a really cool idea! I lOOOOVED bridesmaids movie, so funny! What a great idea! The last wedding I was in, the bride just threw a few packs of gum and nail polishes in a paper bag and called it a day. This would have been so much more meaningful! I think this would also be a great Valentine, Birthday or Christmas gift for a girl friend. I would love a gift basket like this. Movie is the best. Melissa McCarthy is one of my faves. What a sweet and cute idea. Great idea. I love the Bridesmaids movie. I gave my bridesmaids lockets. It was such a wonderful experience to share my special day with my best friends. Super cute idea. I like giving themed baskets as gifts – such as cooking a pasta meal or a spa night. So much fun for the recipient! I love that movie! And what a sweet bridesmaid gift! And… Congratulations on your upcoming wedding!!! It looks like you had a great time putting it all together. Gift baskets can be so fun to make! What a thoughtful gift basket! I would love to get this as a bridesmaid gift. Very cool to put the movie and the cd in there together, I fell in love with that song all over again after watching Bridesmaids. What a neat idea! There are times I wish I could go back and do it all over again! I have never been in anyone else’s wedding. My kiddos have though. They got a pretty necklace from the bride. This is so super thoughtful of you! I wish I had this idea when I got married. I only had one bridesmaid and she was actually a last minute bridesmaid (long story) so definitely didn’t do anything like this when I got married. It is a great idea though. This is such a great idea! The Bridesmaids movie was hilarious! 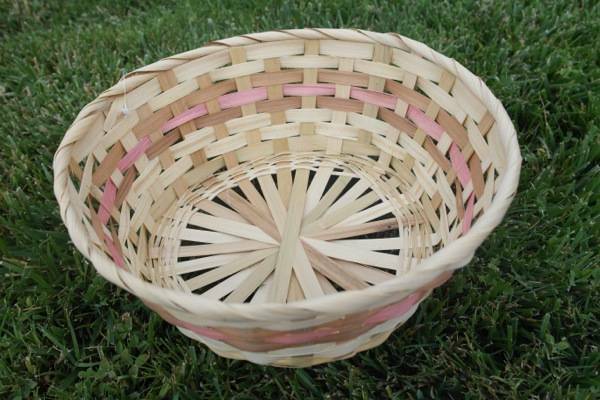 Such a great idea to make a basket yourself! And I LOVE that song too! This is a great gift basket. I especially like the Bridesmaid movie. Thanks for sharing! Great theme for your bridesmaids. Gotta love the dollar store. I love this idea! My oldest daughter just got engaged so I’ll have to mention this idea to her for when the time comes! What a great idea! I never would of thought of doing something like this!